Importing an object from Blender into a scene, rotation on X axis? I save the scene with blender no export with any processing steps. I load the mesh with assimp directly from the blend file with absolutely no post processing. The object is rotated abount π/2 on the x-axis. Why? Blender does not have "x right y up -z into the scene", as you can see in your example image, the blue arrow in Blender represents the Z axis. It's pointing up. You need to either rotate the object in Blender before exporting, or rotate the object as part of your import process. Blender uses a Z up, Y into the scene coordinates system. 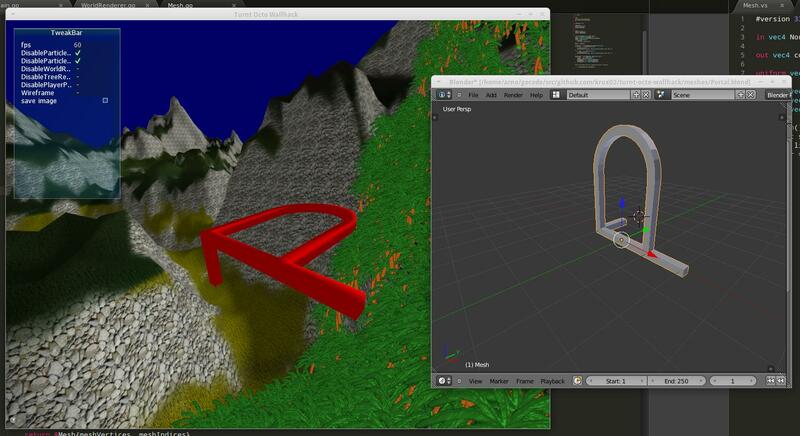 You need to change it to match the Y up, Z into the scene coordinates system of OpenGL. Not the answer you're looking for? Browse other questions tagged coordinates assimp mesh importing or ask your own question.